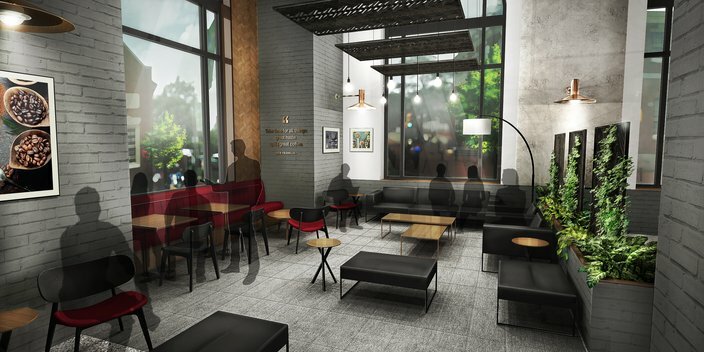 This rendering shows an interior view of the Wawa planned for Sixth and Chestnut streets inside the Public Ledger Building across from Independence Mall. At 11,300 square feet, it will be the largest Wawa among the chain's nearly 800 convenience stores. It seems like every corner has a new Wawa these days, but the newest addition to the citywide family of goose stores is something special. The largest Wawa in the world, the first to push five digits in square footage (11,300 square feet, to be exact), will open in the Independence Mall on Dec. 14, according to PhillyMag. This Mega Wawa has been in the works for quite some time, dating all the way back to April, and it's finally here. 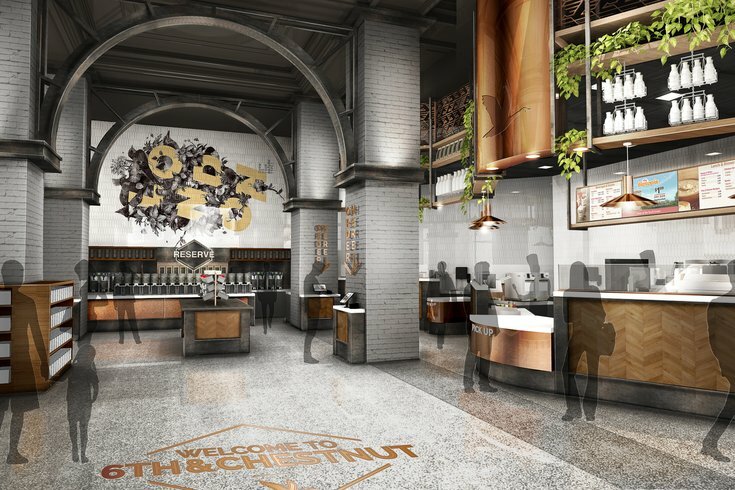 It'll also feature specialty baked goods and artisan coffee, which we're not sure about coming from Wawa, but which we absolutely will give a shot. "This will clearly be our most significant, unique, largest store," Wawa president Chris Gheysens said back in April. It’ll be a big week for new Wawa things: on Dec. 10, the company releases its limited-run craft beer collaboration with 2SP Brewing Co.